The Facts About Monosodium Glutamate: Is MSG Safe? So many people report feeling unwell after eating too much Chinese food that a term was coined for the feeling: the Chinese Restaurant Syndrome. Is the fatigue and headache experienced after indulging at a Chinese buffet caused by MSG, or could it simply be a matter of eating too many foods — often fried in heavy oil — in one setting? What Is the Chinese Restaurant Syndrome? The term first appeared in 1968 in the New England Journal of Medicine to describe the general feeling of unwell that people feel after eating certain Asian foods. Chinese food isn't the only culprit. 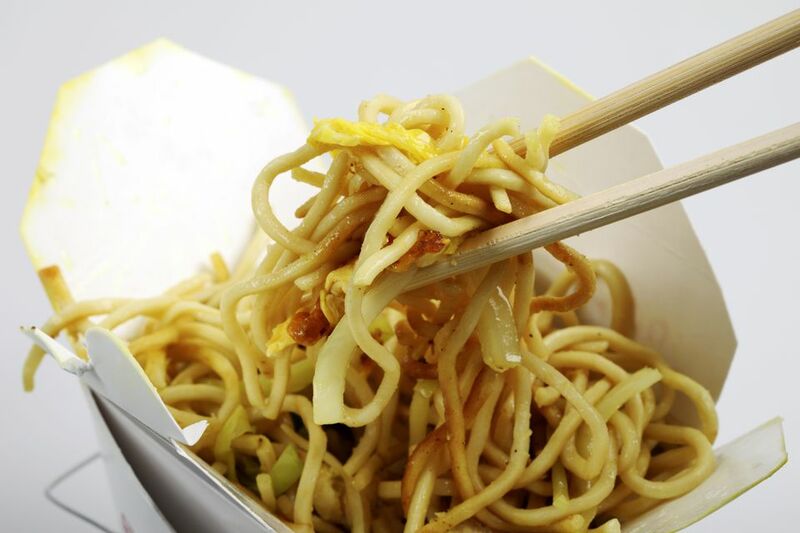 Monosodium glutamate, commonly known as MSG, is most often blamed as the cause for Chinese Restaurant Syndrome despite numerous studies over decades have failed to confirm that "normal" amounts of MSG cause the effects claimed. Although pretty well everyone knows at this point realizes that most of what we call "Chinese food" on cheap buffets in the West doesn't really resemble authentic Chinese food, both the original and the Americanized stuff usually contain copious amount of MSG. A large number of Westerners have stopped eating Chinese food because of the way they feel afterward. Yes, there is often abundant MSG in Chinese food, but you may be surprised to find that MSG is added to many of the processed foods regularly consumed in the West. Is the Chinese Restaurant Syndrome Real? While many point the finger at MSG, advocates of the food additive MSG claim that the general feeling of unwell is because people overindulge at Chinese buffets, often mixing cheap and difficult-to-digest foods fried in heavy oil. In reality, the so-called Chinese Restaurant Syndrome could be caused by consuming excessive salt (MSG is a salt) while overeating heavy food that is often inexpensive. People who believe they are allergic to MSG almost never claim the same headaches after eating lunch meats or popular-brand soups that often contain MSG. Those claiming sensitivity to MSG rarely exhibit problems when consuming other glutamates. Glutamate naturally occurs in living cells and helps give a unique taste to eggs, tomatoes, and even sharp cheese. Until Western awareness and disapproval of MSG increased, a majority of American food companies quietly added MSG to everything from soups to salad dressings. Now that consumers pay more attention to labels, MSG is still used but is often hidden under different names such as "autolyzed yeast extract" and "hydrolyzed protein." An Australian study of 71 volunteers who were convinced that they were sensitive to MSG were given a mix of real MSG tablets and placebos. Subjects given real MSG reported no ill effects, while those who were given placebo tablets reported the same syndromes that they felt after consuming Chinese food. MSG has been shown to increase appetite by making foods taste more appealing and affecting the body's natural appetite-suppression system, hence the symptoms of Chinese Restaurant Syndrome may simply be a result of overeating heavy foods! You don't realize that you are overeating until after leaving the restaurant. Glutamate is an amino acid that occurs naturally in every living food, from vegetables and meats to breast milk. Monosodium glutamate is the sodium salt derived from fermenting glutamic acid. Sushi seaweed (nori), Parmesan cheese, mushrooms, and even tomatoes all get part of their unique tastes from higher levels of natural glutamate. MSG is most often confused as a preservative, however, it is actually a salt that rounds and balances the flavors already present in food. While glutamate is not laboratory-produced and does occur all throughout nature, the quantities consumed when it is used as a food additive in the form of MSG are not natural. MSG is essentially a manufactured, concentrated version of what makes certain foods taste good in the first place, added back those same foods. Proponents of MSG claim that the body cannot tell the difference between monosodium glutamate and naturally occurring glutamate. Others are concerned about what excessive amounts of this "natural" compound do to our bodies. Perhaps unfairly, monosodium glutamate is most often associated with Chinese food. But MSG was actually discovered by a Japanese professor at the University of Tokyo in 1907. He named the savory flavor that MSG produced umami. In 2002, scientists discovered that we do indeed have specific receptors on our tongue for the savory sensation that glutamate produces and officially added umami (savory) as a fifth taste to go along with sweet, salty, sour, and bitter. Today, MSG is liberally added to food and snacks in Japan, China, Korea, India, and Southeast Asia. MSG doesn't only turn up in food from Asia's many 7-Eleven minimarts; fine-dining restaurants regularly depend on it. Even a majority of popular Western brands use the flavor enhancer in meats, sauces, and processed foods. The debate over MSG's safety has been raging for decades, making it one of the most studied food additives in history. Despite at least 60 percent of the world's population in Asia purposefully consuming MSG daily, the acronym has practically become a dirty three-letter-word in the West. While Westerners are willing to pay more for pet foods that claim to be MSG free, Asians buy the powdery substance in five-pound bags and sprinkle it into as many dishes as possible! Extensive studies on the effects of MSG have been conducted since 1959, eventually leading to the FDA, European Union, United Nations, and World Health Organization all listing MSG as a safe food ingredient. An additional study by the European Union declared that MSG was proven safe for both infants and pregnant women. As is often the case, many of the studies conducted were sponsored — either directly or through lobbying — by large food organizations that use MSG as a cheap way to gain an edge in taste over competitors. In 2008, a collaborative of Chinese and American researchers linked MSG with obesity, however, a Chinese study in 2010 debunked the find. It was later suggested that the enhanced flavors in food tempt people into overeating, and the thirst that MSG causes is often quenched with beer or sugary drinks, leading to weight gain. After all, MSG is a salt. On the other side of that argument, Japan — the leading per-capita consumer of MSG — boasts the world's longest life expectancy as well as the world's lowest obesity rates! Although sodium chloride (table salt) is not always naturally sourced, it remains widely accepted. Salt is also a major contributor to high blood pressure which can cause heart disease — the leading cause of death in the world. MSG actually contains three times less harmful sodium than table salt, and less MSG is needed than salt to season food while cooking. When I asked one noodle vendor in Chiang Mai, Thailand, why he used MSG in his food, he simply replied, "because I have to." In other words, with all his competitors using MSG to enhance the savory taste in foods, he was forced to do the same to compete. MSG turns up in most street food in Asia, but you can try asking the cook not to add it. Some organic cafes and restaurant owners have caught on to the anti-MSG trend in the West and now advertise "No MSG" with signs to attract health-conscious backpacking travelers. This may or may not mean that their food is free of MSG. Even if they don't purposefully add MSG to dishes, many of the ingredients and seasonings (e.g., soy sauce, oyster sauce, and tofu) they use to prepare food already contain the substance. MSG is often substituted for salt in Asian food. Even the salt shakers on tables in restaurants, and most definitely the soy sauce, contains MSG. See: 10 frequent questions travelers have about the food in Asia. Although MSG sometimes gets the blame for regular cases of traveler's diarrhea experienced by many travelers, TD is most often caused by poor food handling and bacteria. Don't think for a second that MSG is only used in Asian food. Many Western snacks, canned foods, sauces, deli meats, and soups contain MSG as a flavor enhancer. If you've ever eaten Campbell's soup, you've eaten MSG. In the European Union, Australia, and New Zealand, monosodium glutamate shows up on food labels as "E621." The acronym "MSG" is not allowed on food labels in the U.S.; food makers must label the additive as "monosodium glutamate" and list it as an additional ingredient not included generically within "seasonings and spices." Hydrolyzed proteins are proteins that have been broken apart chemically into their amino acids which may then form free glutamate. Free glutamate can bond with sodium that is already present to create MSG in foods; when this occurs, foods are not required by law to be labeled as containing MSG. Technically, food makers can add any of the above ingredients to allow MSG to form naturally without needing to list it as an added ingredient! Even "natural" brands that target health-conscious consumers regularly make use of these friends of MSG. Interestingly, MSG eaten alone tastes unpleasant when there is no food to enhance!